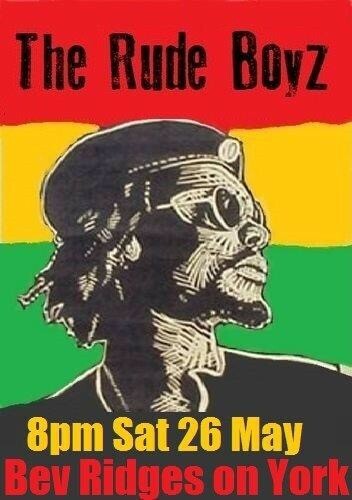 Hawke’s Bay’s favourite reggae band The Rude Boyz are returning to Bev Ridges on York to have a reggae party. Hailing from Napier The Rude Boyz are in hot demand and have amassed a great local following with their blend of old school reggae classics and new school reggae originals and what a blend it is - sweet sweet reggae music. It’s going to be a memorable and fun night so come and enjoy the party.